Color Resolutions International (CRI) is a leading producer of water-based flexographic inks used on paper and film packaging for graphic image and performance conscious printers. CRI’s central manufacturing plant is located in Cincinnati, Ohio and the company operates 19 blending sites in the U.S. to provide prompt local service. Certain manufacturers are required to calculate and report the quantity of volatile organic compounds (VOC) and the hazardous air pollutants (HAPs) that evaporate in the air as a result of operating a manufacturing facility. These manufacturers need to obtain permits and report emission calculations to demonstrate compliance. This involves the expensive testing of each product for VOC content or the review of all relevant formulation components and thus multiplying the VOC/HAPs content by the consumption of the product. This is a daunting task for manufacturers in the paints and coating industry who use and supply hundreds of products that contain VOC/HAPs. As a supplier of inks, CRI is impelled by demand, to provide to customers, who are required by law to file air permits, calculated reports which contain their specific VOC/HAPs liability. In the past, customers would call CRI to request a VOC/HAPs report for a particular period. After speaking to CRI personnel, the request was submitted and data was formulated using numerous software programs, in order to obtain calculations that were dependent upon local requirements. The whole process from request to the delivery of the report usually took several days for each customer and involved numerous CRI employees. In an effort to advance customer relations, CRI made replacing the manual method of VOC/HAPs reporting, a top priority. 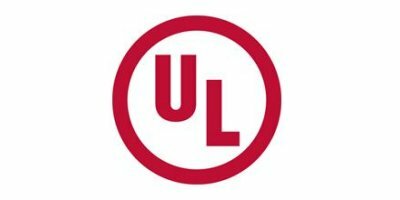 After evaluating numerous options, CRI turned to UL The Wercs for a customized solution. For CRI, UL The Wercs software managed the authoring of (M)SDS and was integrated with an order processing module. A custom online VOC/HAPs reporting tool would serve as an extension to the authoring software. Within two months, UL The Wercs developed and implemented an online reporting module which enabled CRI to completely eliminate the manual system that was in place for VOC/HAPs reporting. The new module automatically gathers VOC/HAPs data from UL The Wercs (M)SDS formulation database and cross references them with the order history. Customers can now go to a secured CRI website, enter a customer code and password and get a complete VOC/HAPs emission analysis for a variety of reporting requirements. No comments were found for CRI advances customer service and reduces cost with VOC/HAPS reporting tool - Case study. Be the first to comment!